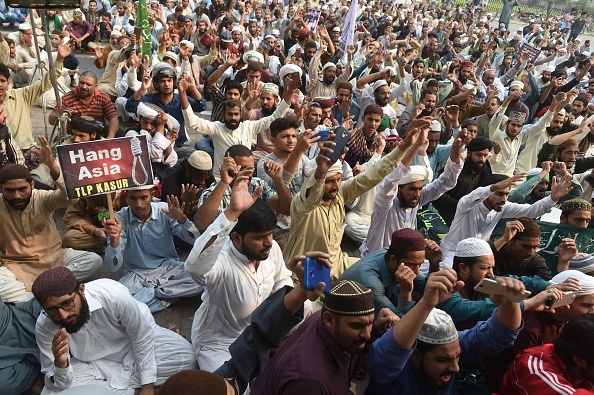 Islamic mullahs are reportedly going door-to-door seeking the life of the Pakistani Christian woman who was recently acquitted of a blasphemy charge by a Pakistani court. 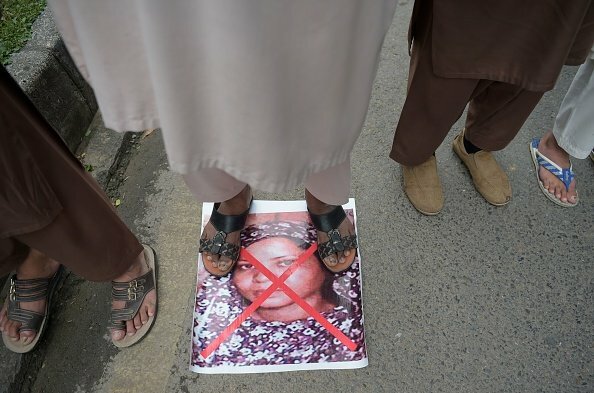 Asia Bibi, a Roman Catholic mother of five from rural Pakistan, spent the better part of the last decade languishing in a windowless cell after she was accused in 2009 of blaspheming Mohammed. Blasphemy is a capital offense in the Islamic Republic of Pakistan. [Bibi’s family has] told me that mullahs had been reported in their neighborhood going from house to house showing photos of family members on their phones, trying to hunt them down. The family have had to move from place to place to avoid detection. Sometimes they can only operate after sundown. They have had to cover their faces when they go out in public. They have had to remove the rosary that hangs from their car rear-view mirror for fear of attack. [Their faith is] sustaining them in this time of acute danger. They say that if they are not allowed to find a future outside Pakistan, the fear is that sooner or later something terrible might happen to them. She was brutally beaten and then taken to prison. Over a year and a half later, she was formally charged with blasphemy and awaited a death sentence until being acquitted in October. She nevertheless remains at an undisclosed location, living in terror as protests against her have erupted across the country. Pakistani Prime Minister Imran Khan, in an effort to placate the rioters, has placed a travel ban on Bibi.